When war broke out in 1914, large numbers of men left their jobs to fight for their country. Although certain occupations were initially protected, the demand for a workforce at home grew as military service called more and more men away to battle. Women across Britain stepped up to the challenge and staffed a whole host of traditionally male occupations. Keen to help out during times of great need, these ladies provided crucial support to local communities and industries. There is an excellent post on this blog already about some of the roles performed by women during the war. However, less well documented is the role of female police volunteers. In fact, it was only whilst researching an unrelated topic for Archives+, that I stumbled across a picture of a WWI policewoman in the Documentary Photographic Archive at the Greater Manchester County Record Office. 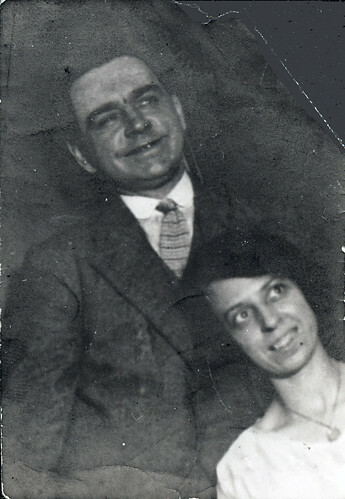 Emily Walker was a friend of the family who donated this photograph. Indeed, the donor’s mother, Elizabeth Portlock, apparently served alongside Emily as a volunteer policewoman during the war. Both ladies lived in Manchester. The words ‘apparently’ and ‘supposedly’ in the information accompanying the file suggest some doubts as to the exact nature of the roles these women performed. Whilst the Documentary Photographic Archive offers few clues about Elizabeth or Emily, by using existing sources about policewomen during WWI from elsewhere, it is possible to re-imagine the context in which they might have worked. Prior to 1914, women frequently supervised, searched and escorted women and children, or acted as prison matrons. Often the wives of police officers, they performed limited roles within the criminal justice system. However, it wasn’t until WWI that they took on more significant roles in public life. 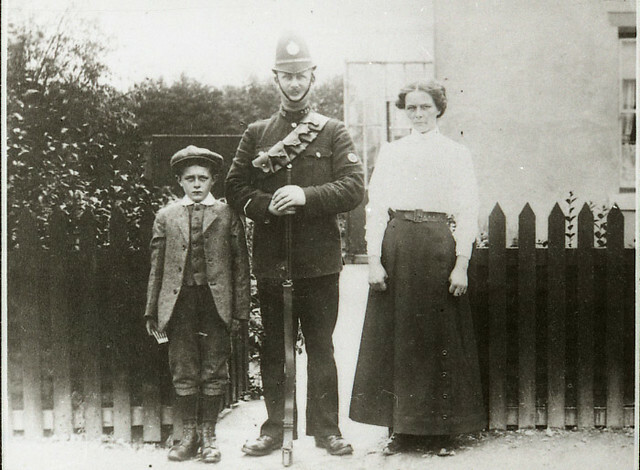 Kate Williams was the wife of a police constable, and she received payments for looking after female prisoners. 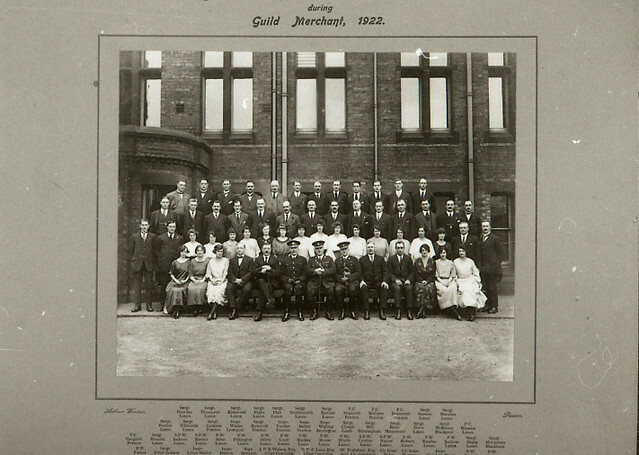 The above image is also from the Documentary Photographic Archive here at the Greater Manchester County Record Office. Although it was not obligatory for wives of police officers to assist in such duties, they often did. Indeed, such women were arguably the predecessors of wartime policewomen. However, the transition from such roles to actual policing, has been lengthy and fraught with challenges, as ladies such as Margaret Damer Dawson discovered. 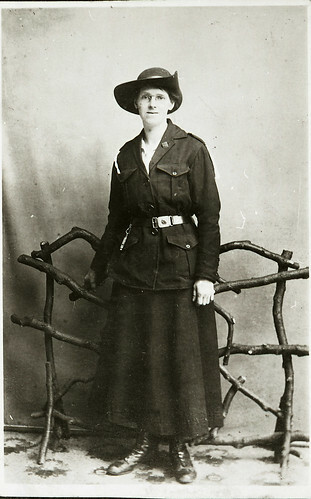 Damer Dawson approached the Chief Commissioner of Police in 1914 with a proposal for a group of trained female officers. Interestingly, her main concern appears to have been the new levels of freedom afforded to young women during wartime, and the lapse in morals that might subsequently ensue. Policewomen, she argued, would be ideally placed to deal with such eventualities. Her long-term vision was a permanent female police force, ideally trained and equipped to deal with female criminality. Nina Boyle was another key figure who campaigned for female officers, and she and Margaret Damer Dawson joined forces to form the Women Police Volunteers. The ‘policewomen’ of WWI were initially recruited as volunteers, and this was coordinated not just by the Women Police Volunteers, but also the National Union of Working Women. Soon thousands of patrols were taking place across Britain. Although Manchester is not mentioned in any of the sources I’ve found, it seems unlikely that such a major British city would have been excluded from this. The story of Emily and Elizabeth seems to evidence the presence of women police volunteers in Manchester during WWI. It is likely that their work would have been challenging, and that members of the public may have found it difficult to accept their authority. Indeed, police volunteers were not afforded the same official status as ‘regular’ officers, but still contributed much to British law enforcement during WWI, and the legacy of these women continued beyond the war, as is evidenced in the Documentary Photographic Archive. 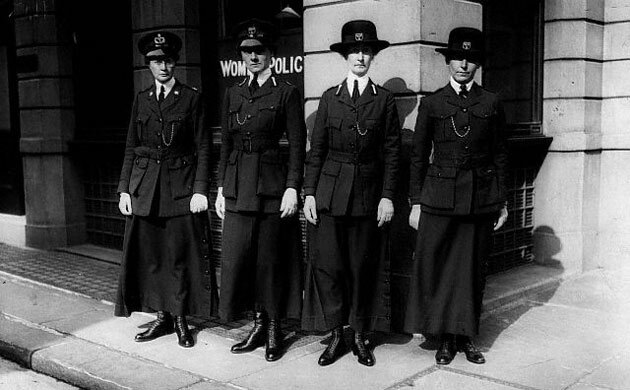 As the above image shows, by 1922, police services were beginning to embrace the idea of female officers, although Lancashire was considered one of the more progressive organisations of its time. However, other police forces followed suit and today policing is an occupation open to both genders. Arguably the women who volunteered their services as policewomen during WWI paved the way for today’s female officers – they were pioneers.